Lately, I’ve been really into anything that makes life easier on the weekdays. One of those things is finding healthy recipes to meal prep on Sunday. Meal prepping is one of the best ways to not only save time, but also ensure you’re making healthier food choices throughout the week. 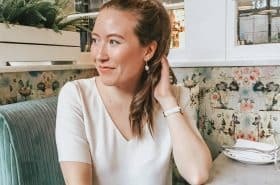 It can be so easy to fall into the trap of picking something up on the way home or ordering dinner in, especially when you’re on the brink of starvation and don’t want to take the time to make a meal. Having meals ready to go for you when you get home is a complete life saver. 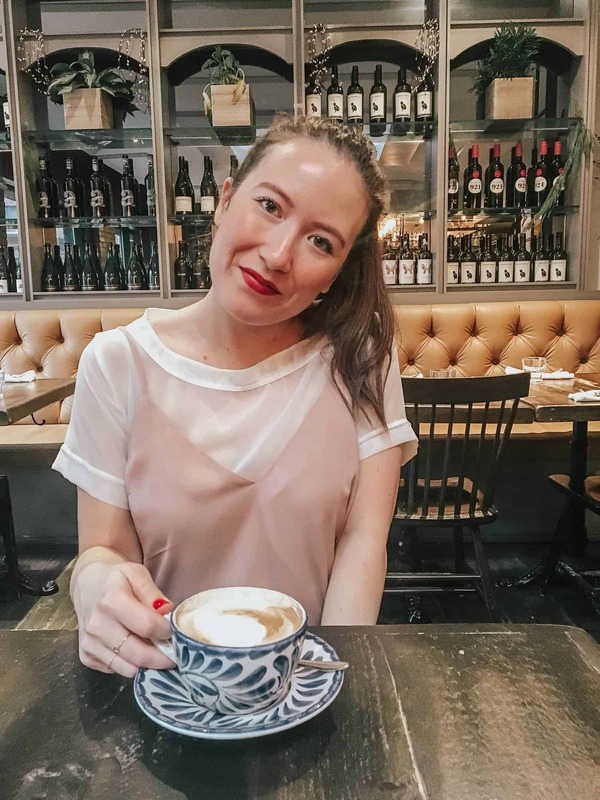 I work from home, but most of the time I’ll be coming home from a meeting or the gym right before dinner so I know what it’s like to want something in your belly STAT! It’s one of the best feelings to know you have healthy food (that you’ve already prepped) to put together in a cinch! 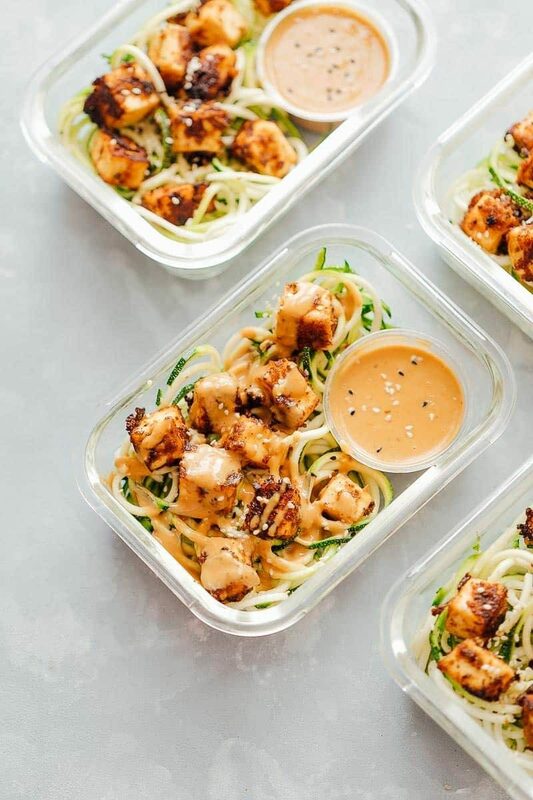 If you’re in the same boat, check out how to meal prep like a pro, and 20 delicious and healthy recipes to meal prep on Sunday! I’ve made it easy for you by listing 20 of the best dinners to meal prep on Sunday, but there are tons of other recipes on Pinterest once you get through this list! Choose 2 or 3 meals you want to prep for the upcoming week (remember, you can eat the same meal a couple times in the same week…just spread them out so you don’t get too tired of the same thing!). Once you’ve decided on your meals for the week, create a grocery list of ingredients. This will help you stay on track and keep you from buying unnecessary food and snacks. When you’re planning meals to prep for the week, make it easier on yourself by choosing meals that have similar ingredients. This helps you save time and money since you’ll be shopping and prepping for similar meals. For example, maybe you’ll make pasta with shrimp and mushrooms one night and shrimp curry tacos another (a go-to in my household!). Also, build your meals around seasonal produce for the best flavour! If things don’t get planned, they usually don’t get done. Plan to spend a few hours on Sunday to go grocery shopping and meal prep. 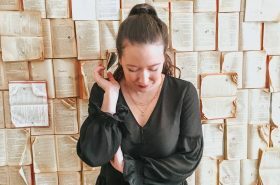 Many people like to do one right after the other, but do whatever works best with your schedule. Your meal prepping will be most successful if you’re smart with your time. Start with foods that require the longest cooking time, preheat the oven before hand, wash all your veggies and produce at once, and chop.slice everything at the same time to make your meal prep a breeze! If you’re meal prepping on Sunday, chances are you’ll be making everything you prep that week, but do some research to find out how long your veggies, meat and other foods are good for once stored. In air tight containers, your vegetables and cooked meats should be good for three to four days, and some for even longer! Now that we’ve covered the basics, let’s get to the good stuff! 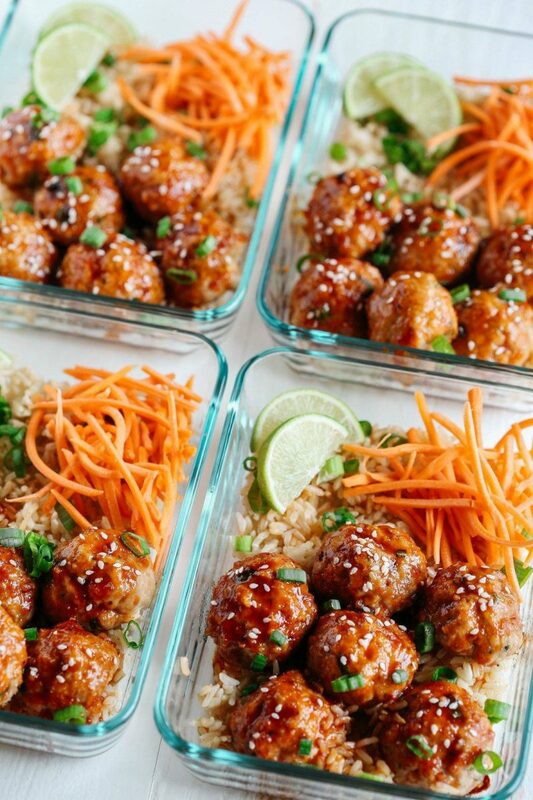 Here are 20 delicious recipes to meal prep on Sunday! 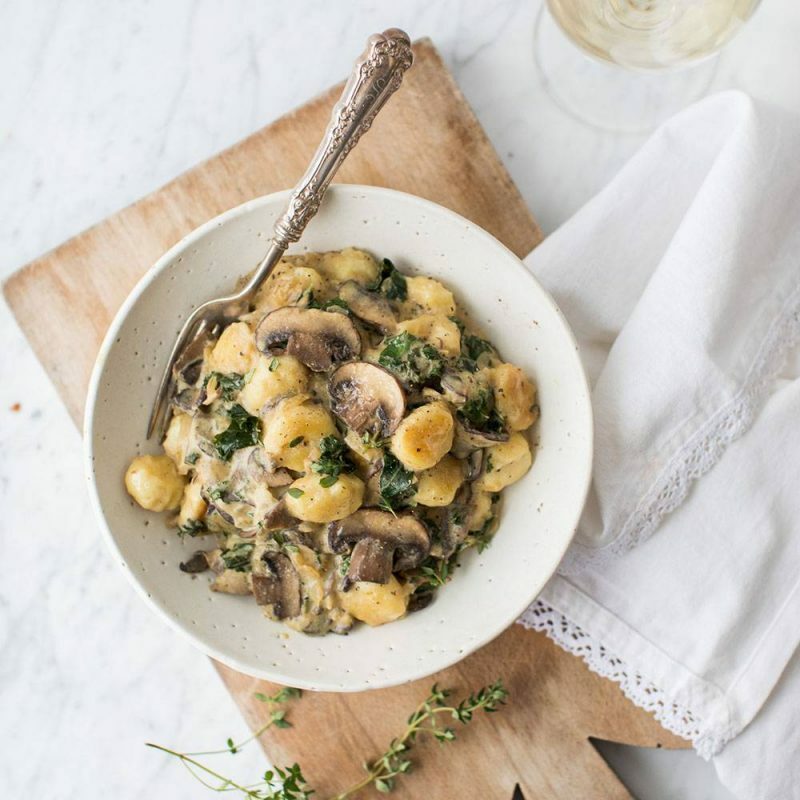 When it comes to pasta, gnocchi is one of the most divine, and mixed with mushroom and kale, you’ll have a rich and healthy dinner to whip up on a busy night! Get all the ingredients prepped on Sunday and throw them together on your craziest nights! Bowls are incredibly easy to throw together, and let’s be honest, they’re the ideal meal prep recipe! 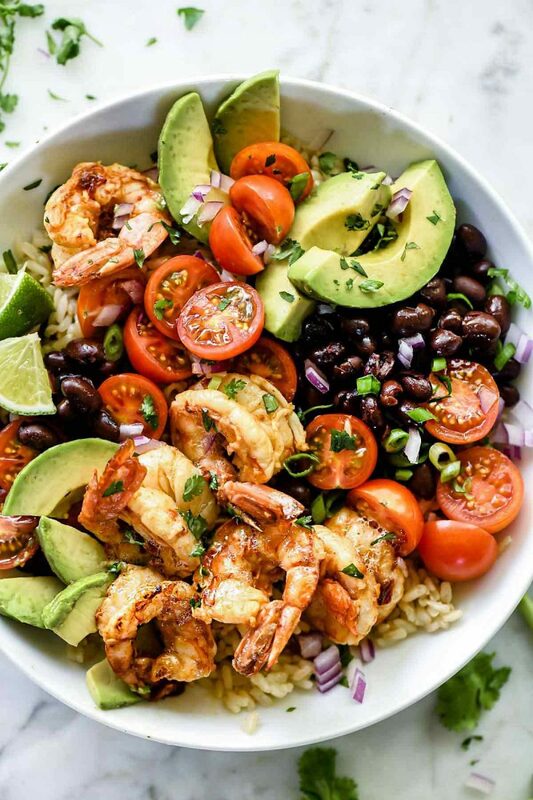 Prep the shrimp, tomatoes, rice, onions and peppers ahead of time, and mix them with the rest of the ingredients (mostly canned and already prepped) the night you want to eat it! I made this chilli the other week and it’s incredibly quick to make and so delicious! It would have been even easier if I had prepped the ingredients beforehand, so if you do that, it will be easy as pie! It says chilli for two, but it lasted me 3 to 4 servings, and you can always double or even triple the recipe! Mmm, mmm, mmm, these meatballs are full of flavour and are the perfect mix of sweet and spicy. Prep the meatballs, rice and sauce on Sunday so you can warm them up and mix them all together for a delicious weekday meal! 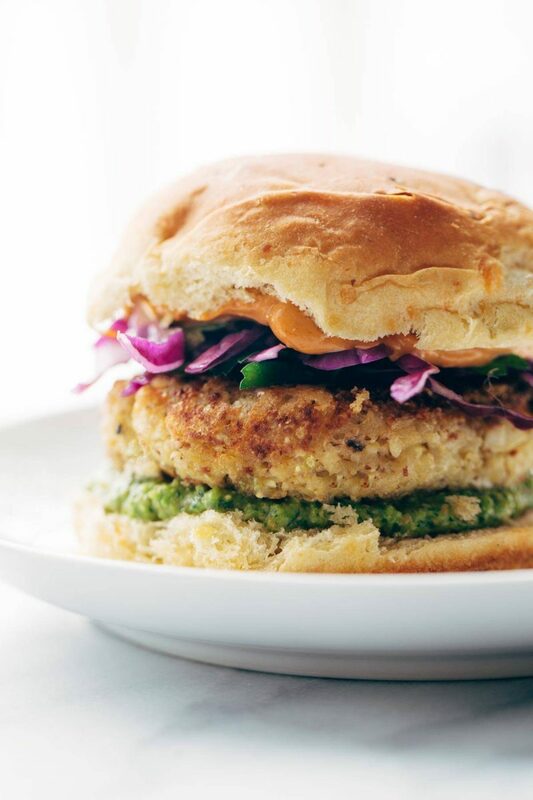 I had my very first cauliflower burger last weekend and it was DELISH! I can’t wait to make my own, and this recipe is top of my list! 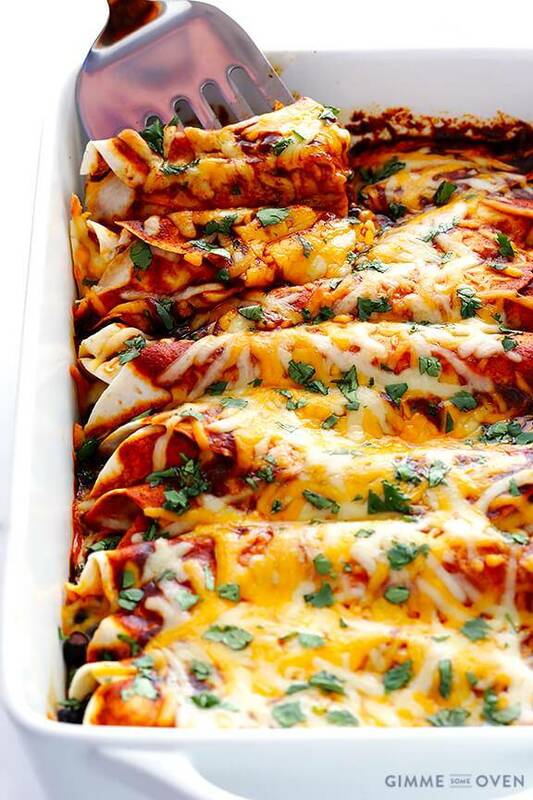 We made chicken enchiladas earlier this year, and they are honestly a lifesaver for busy weeks! I would suggest cooking them on Sunday and putting them in the fridge already cooked (or the freezer of course!). That way, you can pop one in the microwave or oven to heat up when you’re hungry. 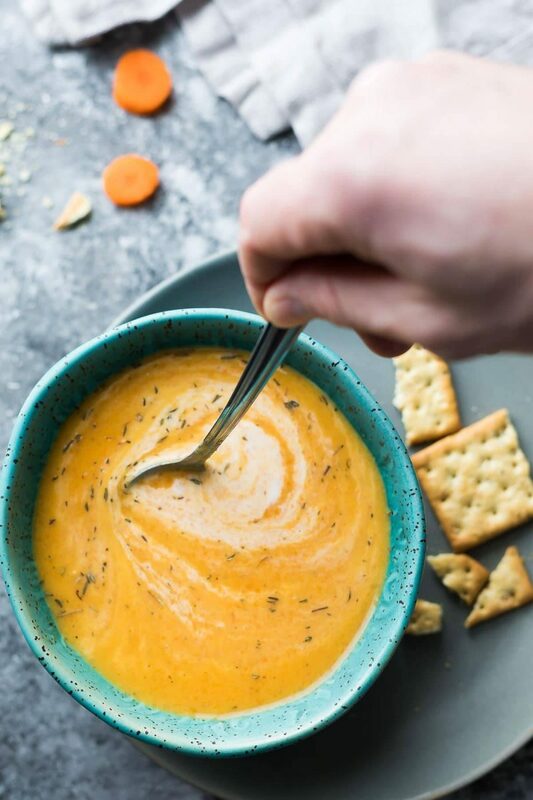 You gotta love a hearty bowl of soup, and this carrot ginger soup is perfect for the fall/winter season. The great thing about soup is you can make a huge batch and refrigerate or freeze it for the weeks (and months) ahead! Another healthy bowl, this honey and lime salmon bowl is super delicious and easy to put together on a busy night. 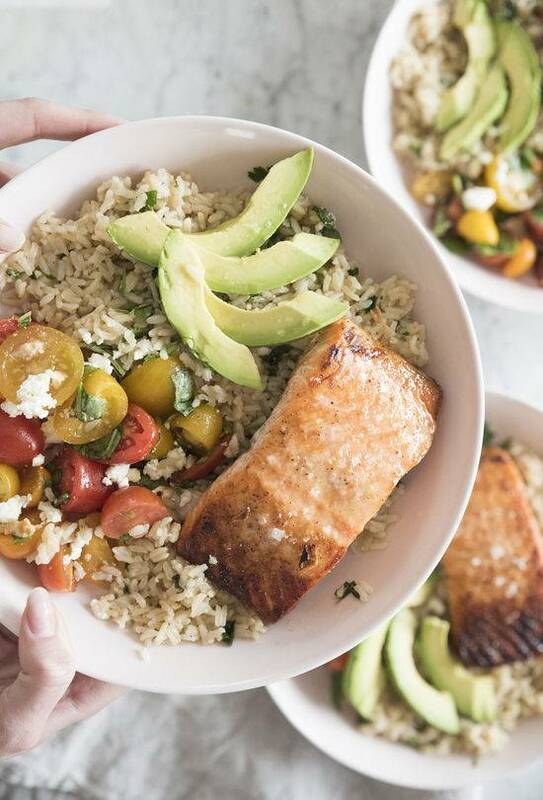 Prep the salmon and marinade ingredients, the brown rice, and the tomato salad ahead of time and bring them all together for a simple, yummy dinner. 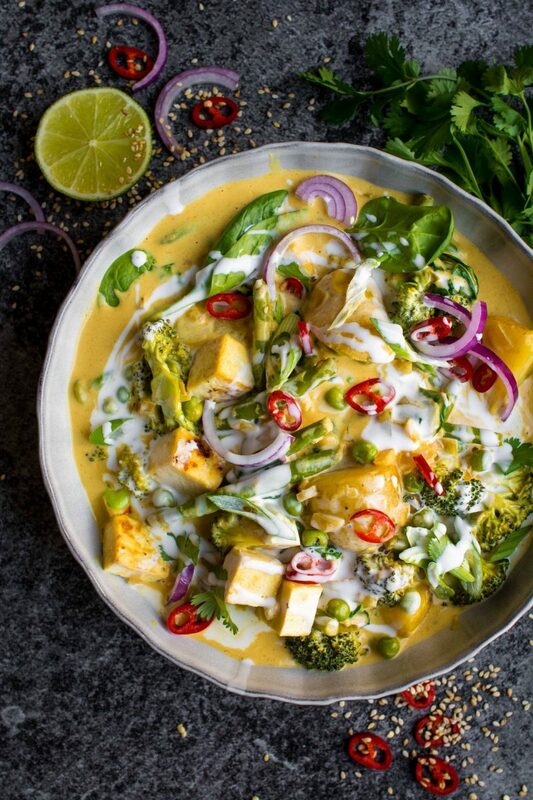 I love, love, love making meals with tofu and this recipe has to be one of the best I’ve found. Yo can easily prep the different parts of this recipe and put them together to eat at home or bring on-the-go! 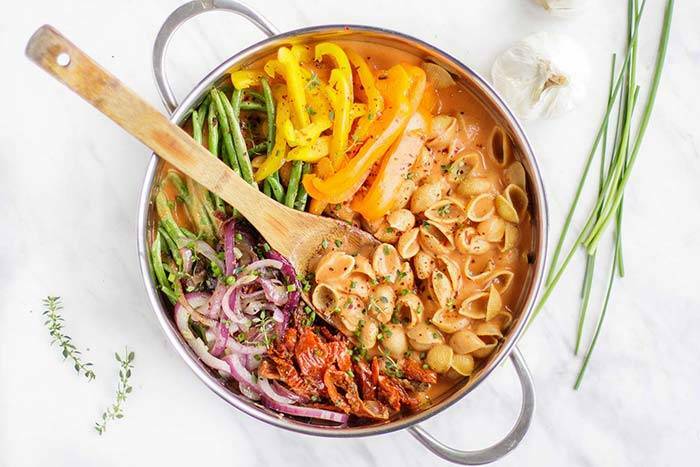 Pasta is a go-to in our home and this one pot pasta is perfect for busy nights! 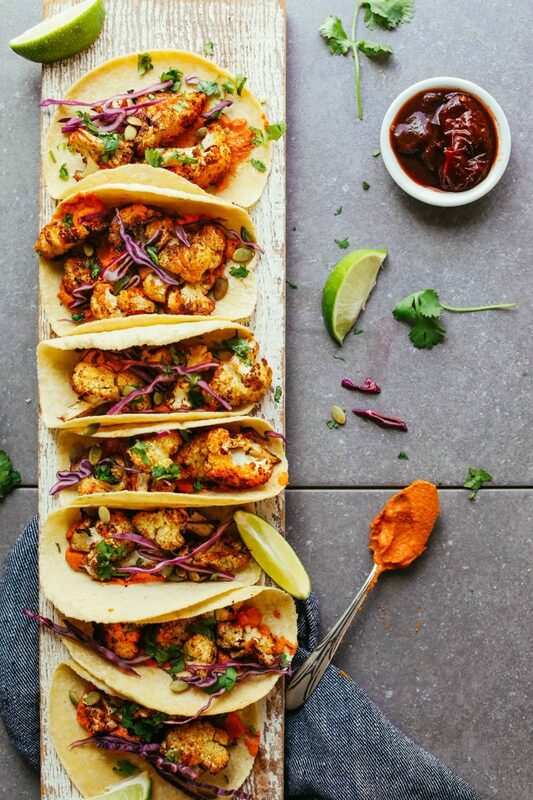 The only thing I love more than shrimp tacos? 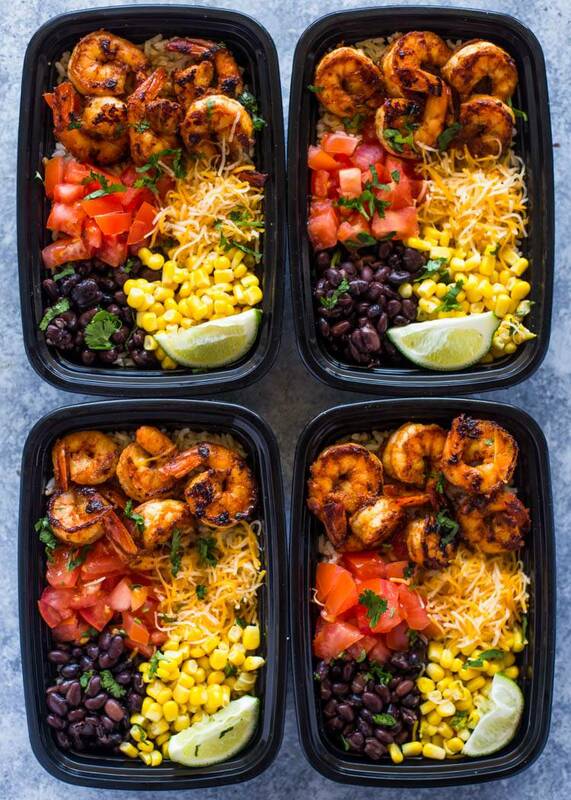 Shrimp taco bowls! All the same flavours in one easy-to-eat combination. All the ingredients are super easy to prep as well! 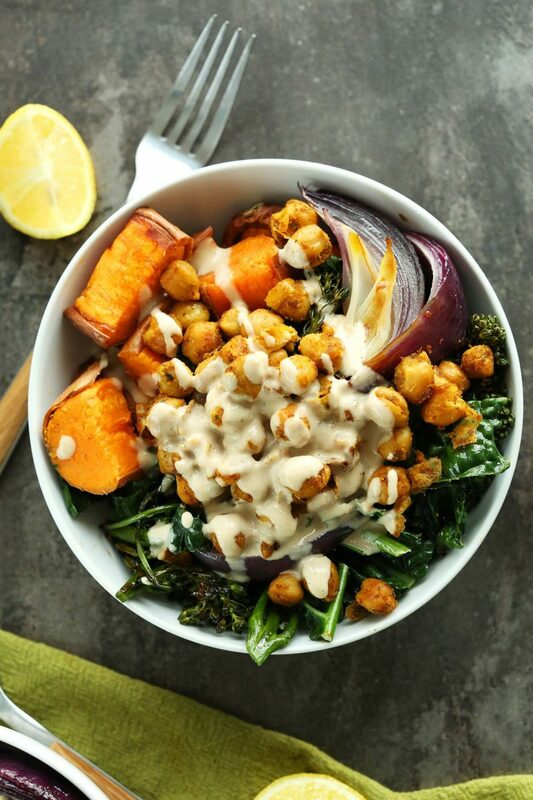 Another easy-to-prep and easy-to-make bowl, this buddha bowl offers a delicious and healthy dinner or lunch to take to work during the week! One look at this pasta dish makes my mouth water. 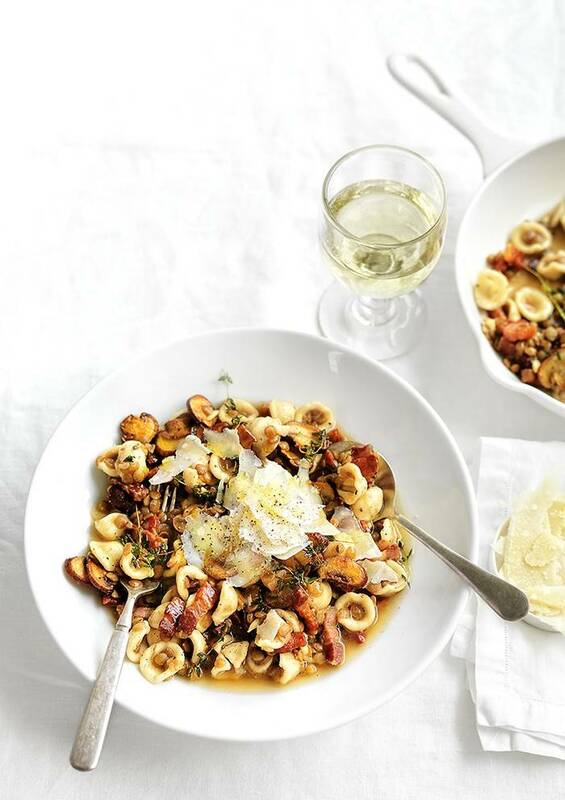 As I’ve mentioned before, we love pasta over here, so finding variations of our favourite ones make dinner that much easier! I’m a sucker for red curry, especially when the weather starts to cool down. 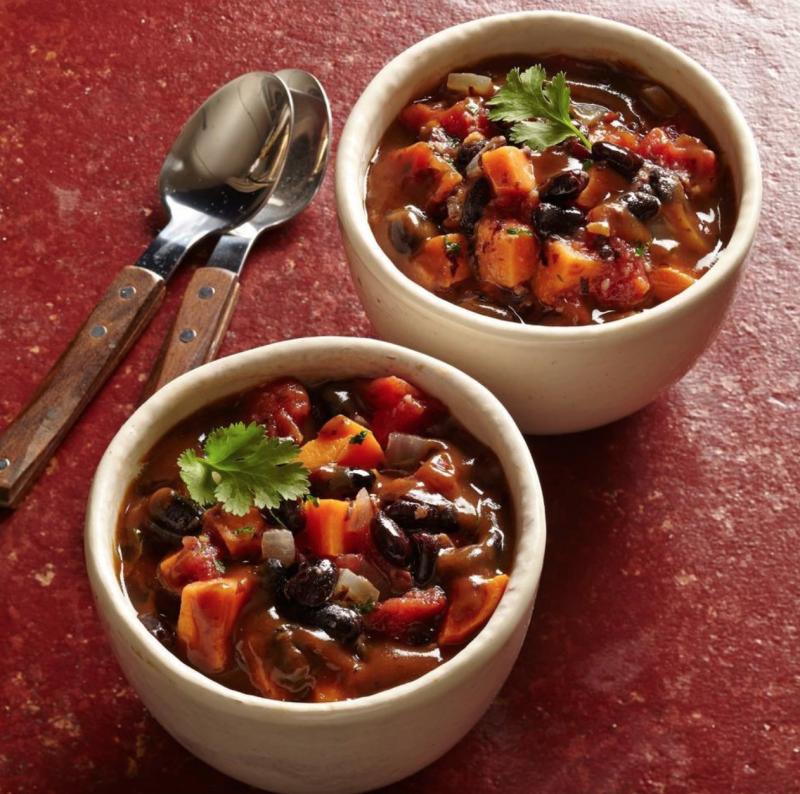 This recipe is perfect to prep beforehand and take out of the fridge to warm up! 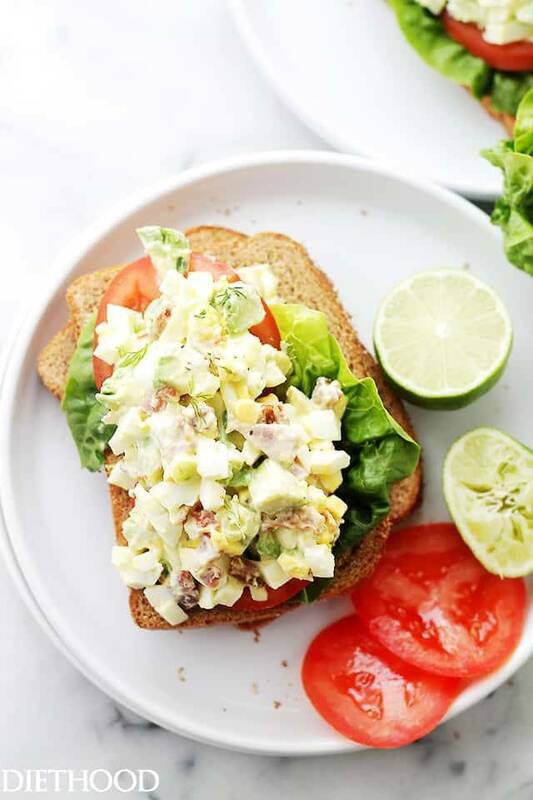 Salads are always easy to whip up, and with avocado and egg, you’ll get tons of protein and healthy fat! 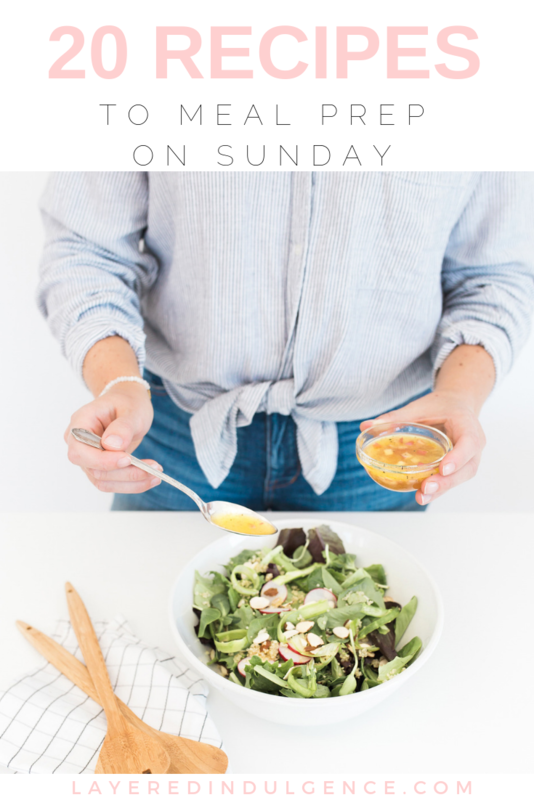 Hard boil the eggs on meal prep Sunday to make this salad when you’re crushed for time! I’ve been on a total cauliflower kick lately and this recipe has pretty much everything I love. 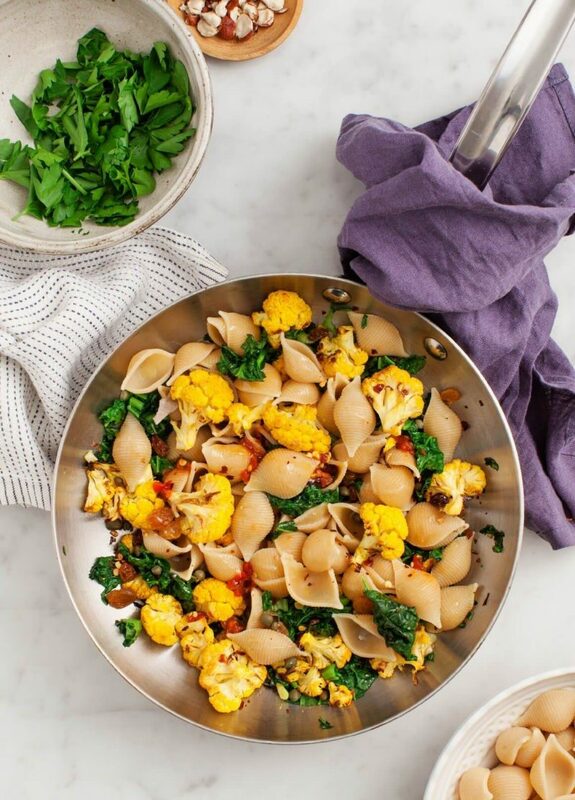 Pasta shells, roasted cauliflower, pine nuts…does it get any better? 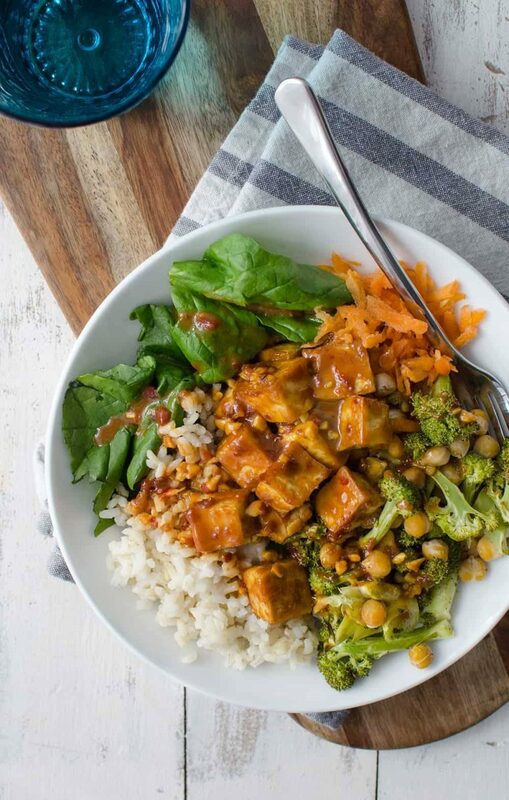 Made with brown rice, peanut tofu and delicious vegetables, you’re going to love this buddha bowl for lunch or dinner! 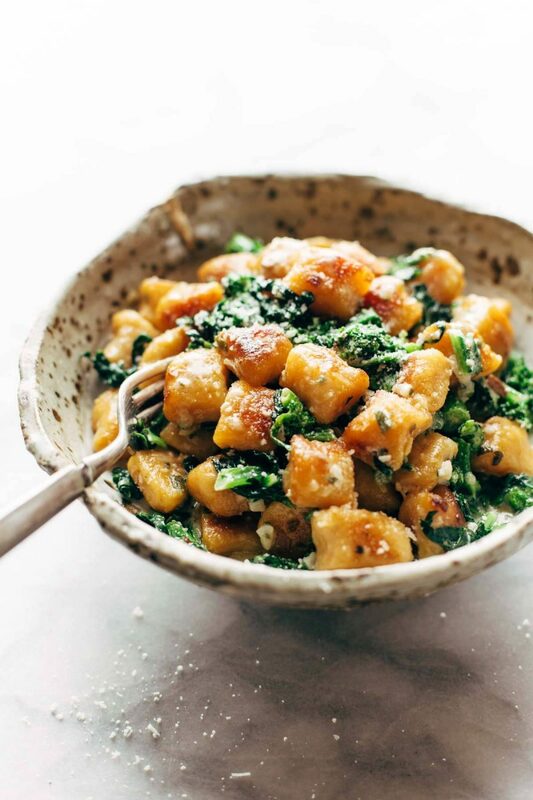 A twist on the classic gnocchi, this sweet potato gnocchi is out of this world! Make a big batch to freeze and take out when you need it! Tacos are one of the easiest meals to put together when you’re low on time, especially if everything is prepped beforehand. And I bet you’ve never had tacos like this before! 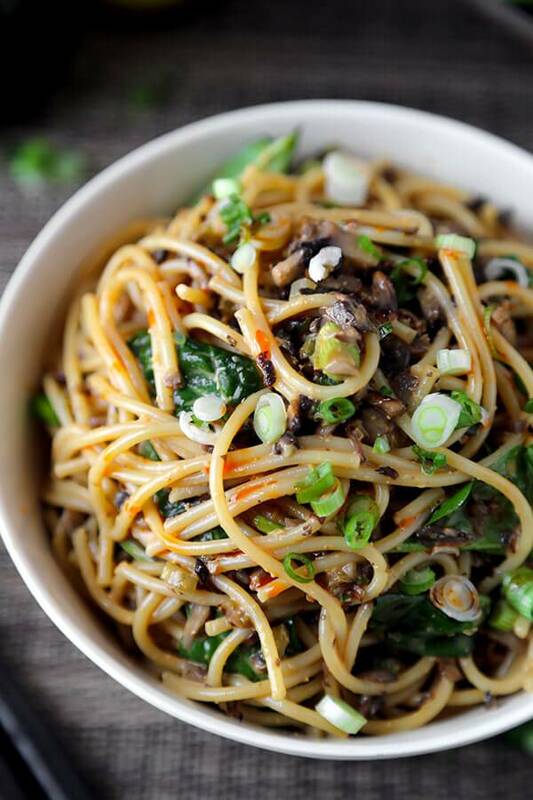 These noodles look absolutely scrumptious, I can’t wait to whip them up one night! Plus, the ingredients are perfect for meal prep! 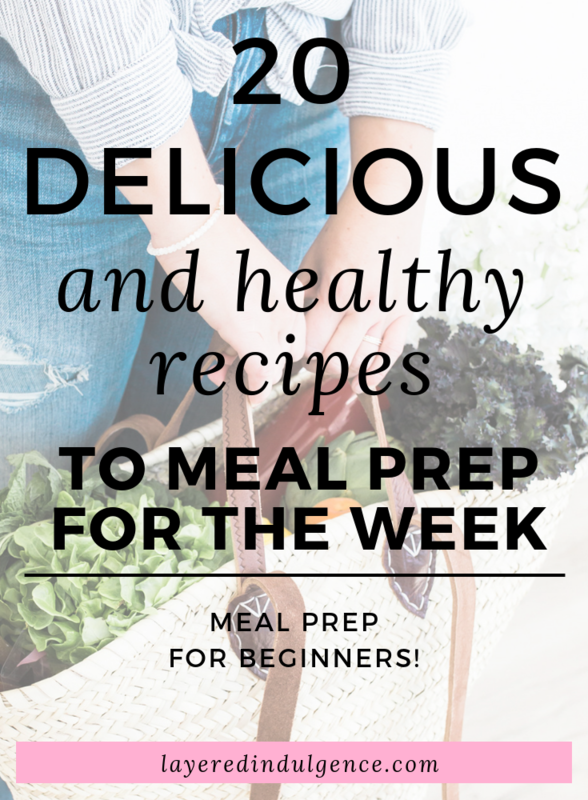 If you’re looking for recipes to meal prep on Sunday, you’ll love these options! And if you have any more meal prep tips, I’d love to hear about them in the comment section!